Do you have a special event coming up and want to hire a retro arcade machine? At Arcade Direct, we have one of the best collections of classic games you can get your hands on. This includes some of the biggest titles of all time and you can enjoy nostalgia and challenging yourself with these games. 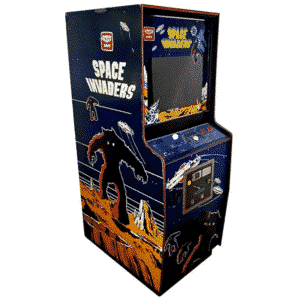 From Space Invaders to Time Crisis II, we have all the retro arcade machines you could ever want. If there is one thing that everyone loves it is retro arcade machines. You can never beat the games from the golden age of gaming, such as Space Invaders and Galaxian and even modern technology doesn’t come close to these favourite games. At Arcade Direct, we are bringing back everyone’s much-loved retro arcade games for hire at special events and parties across the country. Now everyone can have fun and relive their childhood! So, check out our range of retro arcade machines so that you can make sure your event is a success. Why should you choose retro arcade machines for your event or venue? Well, it is simple. Games are a way to bring everyone together and nothing does this better than the classics that everyone loves. We have some of the most popular games that have ever been made, which gets everyone excited. The big names that we have available mean there is a game out there for everyone and to suit every theme of event or party. Not only will people have fun and play games at your event, but it will also get people talking. This is a great conversation start at events where not everyone knows people, as well as at large events to keep everyone occupied. In this way you can leave everyone to their own devices for a while and they will definitely be entertained! 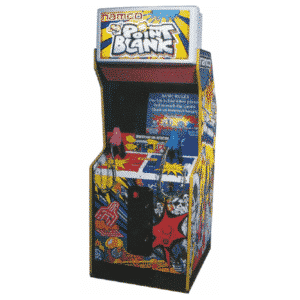 Here at Arcade Direct, we are one of the leading suppliers of retro arcade games. We want everyone to experience nostalgia and enjoy the games that they used to play as a kid. We offer some of the most popular arcade games ever created and we recondition the machines to their former glory. They will look as good as new! From popular brands like SEGA and Voyager to favourites such as Pacman and Space Invaders, you will find all of the golden age games right here for hire. We have lots of genres of retro arcade games that you can check out. This includes shooting and driving games, as well as dance and multi-player. It doesn’t matter what the occasion is, there is definitely something out there for everyone. We have worked with some big companies in the past, which means you know that our retro arcade machines are the best. This includes companies such as Disney and Sony Entertainment. So, whether you are having a corporate event or are even looking for entertainment for your pub, you can check out the retro arcade machines that are going to get you noticed and stand out from the crowd. Of course, we don’t just hire out our retro arcade machines and just leave you to it. We take care of all of the delivery and set up so that you don’t have to worry. Our trained technicians will get everything ready for the start of your event or party. We will even collect the machine when your contract has ended. You can choose how long you hire one of our retro arcade machines for. This can be anything from one day to a long term lease. It is completely your choice. Don’t miss out on all the fun and games at Arcade Direct. Check out our range of retro arcade machines that you can hire today to make sure that your next event or party is a hit. We have lots of different gaming genres so that there is something for everyone. 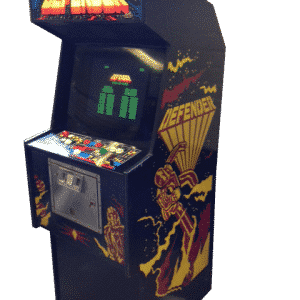 Defender is one of the biggest retro games that everyone knows. It is a famous title from the Golden Age of Video Arcade Games and for a good reason; it is exciting and fun to play for hours. It was first released back in 1981 and you can enter a planet far away and see if you can defeat the enemy aliens. This game is actually inspired from other retro titles we have on offer, such as Space Invaders and Asteroids. We love this arcade machine because it is fun for all ages. With only a joystick and a few buttons to control your spaceship, anyone of any gaming ability can enjoy playing this game. Of course, there are lots of challenges that come your way and the further you progress, the harder it gets. Do you think you have what it takes to get your name on the high score table? 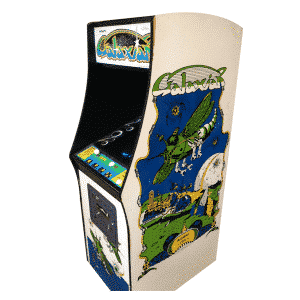 Galaxian is a fixed shooter game that is a favourite with gamers. It was released back in 1979 and is all about defeating the enemies. You can use the joystick and fire button to take on the enemy that was come descending down on you in all directions. This game was in competition with Space Invaders at the time, but they both are fantastic games to play. It was created by Namco and featured some of the best RFB colour graphics at the time. The good news is that you can now get your hands on this fantastic arcade machine. We have one of the originals available for you to hire and to take on the enemies. All ages are going to love this thrilling game. House of the Dead is one of the best games ever when it comes to shooting zombies. This game never gets old, as you can pick up one of the guns and defeat the zombies. This is a scary game and that is why it is recommended for adults only. It was released in 1997 and still continues to be a hit with horror fans. One of the great features is that it is a two-player game. You can grab a friend and see if you can take on the zombies together. You can aim the gun at the screen and test your shooting skills as they come after you. Of course, watch out for hostages along the way. This game is going to be a fantastic addition to any Halloween parties you are throwing, as well as corporate events for a scare! Another fantastic shooting game that has been a big hit ever since it was released is Point Blank. This is a game that allows you to test your hand-eye co-ordination and see if you can hit several kinds of targets. Point Blank is a shooting game that is suitable for all ages. There is no violence or gore. It is all about having fun. There are lots of competitions to keep you amused and there is over 50 in total. You can shoot everything from falling leaves to apples, which means kids can enjoy this game just as much as you. What’s more, it is a two-player game. You can challenge a friend to play with you and see who gets the highest score. 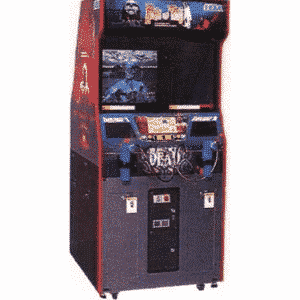 You can hire this arcade machine for your next birthday party or event at Arcade Direct. Space Invaders is one of the highest-grossing video games of all time. It is so much fun and people are addicted to this one. This game involves the player taking control of the laser cannon and defeating the aliens. As you progress, this game gets faster and a lot harder. It will definitely test your reactions and coordination skills. It was first released in 1978 by Taito and this shoot ‘em up has an army of loyal fans across the world. Of course, this is because it is exciting and challenging, but it is also because it was the first fixed shooter game to exist. Now is your opportunity to hire this amazing piece of gaming history for your party or event. What are you waiting for? 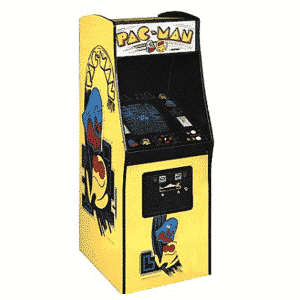 Pac-Man is iconic and now is your chance to hire this classic arcade machine for your event. This is one of the original machines where you can become the yellow Pac-Man character and take on the maze. Of course, you want to avoid the coloured ghosts moving around trying to get you. This is while you are trying to eat the dots and get all of the points. There is also fruit that you can grab along the way, which will give you bonuses. This is one of the highest-grossing video games ever created and it is an exciting one to feature at a special occasion. Everyone will experience nostalgia from this game and kids can be fun with it too if they have seen the PIXELS movie. 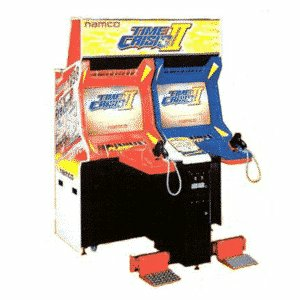 One of the best shooting games is the Time Crisis II Twin Arcade Machine. This game was created by Namco in 1998 and it is an exciting one where you can try to save the president’s daughter. There are lots of levels to progress through and it gets harder too. We love how you can pick up one of the guns and become part of the game. Of course, it is a two-player game, so grab a friend to help you out on the mission. You can see how good your aim is and if you can defeat all the enemies. Contact us if you have any questions about our retro arcade machines!